The unveiling of the new no. 7 at Manchester United, Alexis Sanchez was one of the best in recent years, and showed the class, creativity and stature of the club. The player was pictured playing the piano humming the club song, and looking at peace in his new surroundings. The nature of the deal means that there is huge expectation on his shoulders, and only one thing can help him: if he hits the ground running. The Chilean superstar is one of the best players in the world and is being showed love, but as footballers tend to find out , things could change in few weeks. 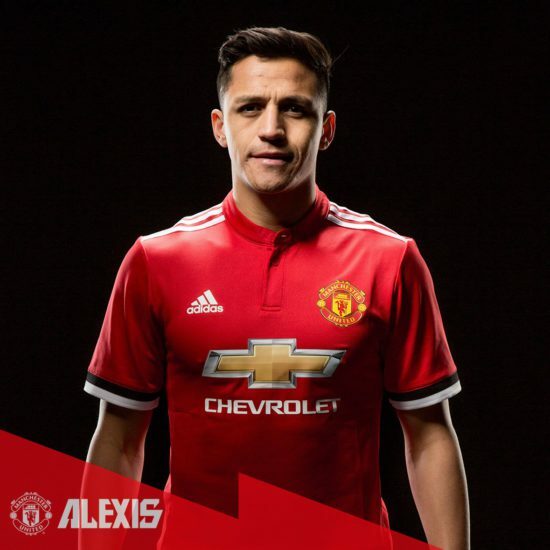 He has been heralded as the man to help close the gap to Manchester City, the team he was initially favoured to join, but Sanchez must do well to find the inner motivation that propelled him to the heights of last season. This campaign has been fraught with flashes of his brilliance, but with the speculation about his future laid to rest, football must be paramount on his mind. At 29, this is the last major contract he would sign, but in order to shut the critics up, he must be up and doing. The likes of Martin Keown have labelled him a mercenary, claiming that he left Arsenal and snubbed City to make more money. Perhaps that is part of his reasoning as most South American players are bound to do so, but it is his football that he would be judged. United are in desperate need of a player that will transform the club into regular Premier League challengers. United are currently struggling to win the league as a number of coaches and players have failed to return to the zenith of English football after the retirement of Sir Alex Ferguson. For a player of his stature, he knows his responsibilities and must kick off his United career in style. Yeovil Town on Friday is the start of what could be something magical. 80 goals and a bucket load of assists in the past 3 and a half years means he is in line to have an immediate impact. Do not criticize Sanchez. Every player plays for money no doubt about that. Make no mistake about. Whether south America this or that. If he were to be your relative. What would you advise him to do at that age. Don’t be a hypocrite. Thank you.